Amnion is a protective tissue that forms the amniotic sac surrounding a baby during pregnancy. The amniotic membrane is carefully recovered and donated after a full-term, healthy delivery (by Caesarean section). Amnion is rich in growth factors and anti-inflammatory proteins that may aid in the healing process and reduce scar tissue formation. The use of amnion is relatively new in the field of orthopedics. However, early research has demonstrated that the use of amnion is beneficial for wound and soft-tissue healing after surgery. 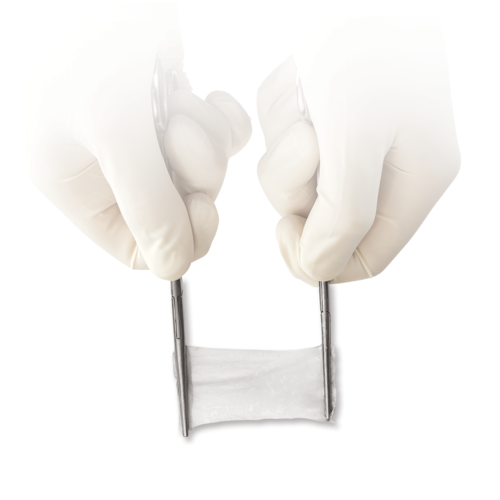 Amnion comes in different forms, including thick and thin patches and a liquid, for different applications in orthopedics. Your surgeon will discuss the potential use and effects of amnion and how it may help your condition.